TAPPA means bounce and it surely bounces with vibrancy and happiness. This place is about progressive Indian food and an amazing cocktail bar. The restaurant is beautifully soaked in yellow and blue tones. It has the perfect ambience to have a conversation or a group gathering. The place looks elegant with the stylish interiors and the bar looks marvellous. The fusion food here is absolutely phenomenal. This place will make you nostalgic with a cycle bell, good old board games. Their service was impeccable. Coming to the food, I would love to recommend the following dishes- 1) Supergrain salad-One of the best salads I have had in a long time. 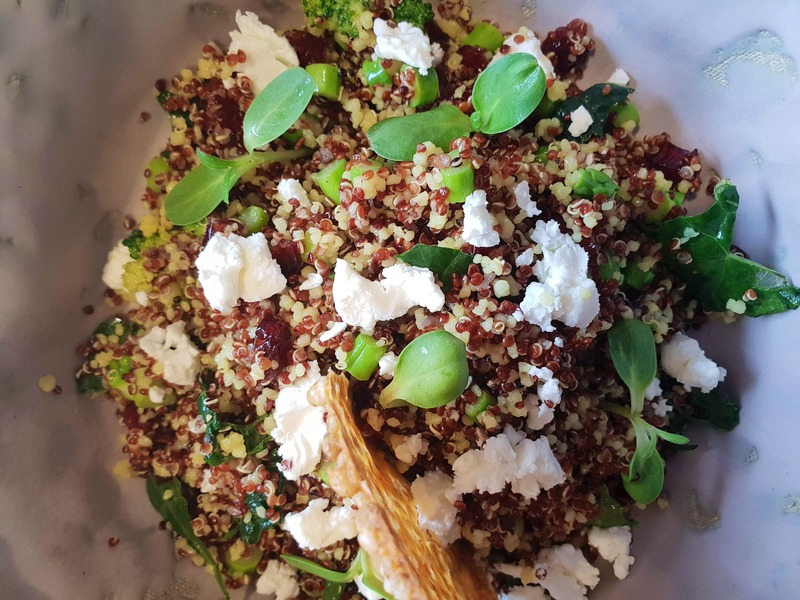 This colourful salad had kale, red quinoa, couscous, berries, goat cheese and puffed sorghum. It was a refreshing salad. 2) Multi-grain sevpuri with guacamole- this was certainly a healthier version of the usual sevpuri. I loved its presentation. It had a crispy base with yum guacamole. 3) Red bean & Kaladi Kashmiri cheese kulcha- this kulcha was one of a kind. I never tasted a red bean kulcha before- so I quite liked it. It was appealing. 4) Pide was brilliant. It was made with toppings of mushrooms, baby spinach, roasted seeds, Tappa's in-house sun-dried tomato sauce, drizzled with truffle oil. Every bite of it was full of deliciousness. 5) Jodhpuri Chilli Poppers, Goat Cheese Mouse, Jaggery Chutney -Being a spice lover, this dish made me drool. The best part was the jaggery chutney which heightened the overall experience. We were full but couldn't resist dessert. We ended up having Bourbon and fig ice cream which was sinfully indulgent. It tasted divine. This newest kid at Aerocity impressed me with their fusion food. This place certainly stands out from all the other places with its modern take on our Indian cuisine.